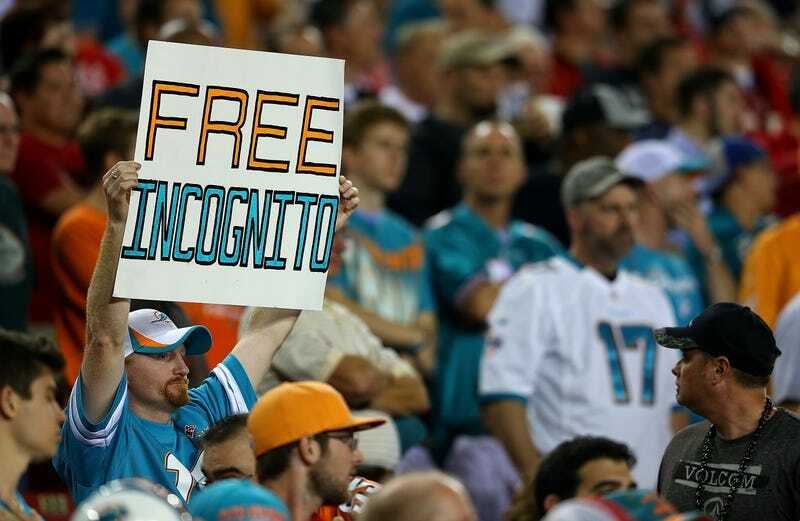 Over the past several days, the revelations from the independent investigation into the Miami Dolphins have been pretty well picked over: The sexually explicit language offensive lineman Richie Incognito used when talking about teammate Jonathan Martin's sister; Incognito's infamous "fine book"—which he subsequently tried to have destroyed—to punish players who cracked under emotional stress; the text messages offensive-line coach Jim Turner sent to a recently hospitalized Martin urging him to behave like "a grown man" and issue a statement exonerating Incognito. Yet the report still hasn't been given its due as a historical or even literary document. For all the "tell-alls" written by athletes and beat reporters since the publication of Ball Four, it's Ted Wells and a team of lawyers at Paul, Weiss, Rifkin, Wharton & Garrison LLP who have given us the most contemporaneous and unvarnished portrait of a professional sports locker room. It's also a story about manhood, specifically Martin's discomfort playing the macho role expected of him as a Dolphins offensive lineman. Maybe above all, though, it's a story about class. Martin was an upper-middle-class kid raised with values that left him unable to handle a malignant figure like Incognito. Martin's sheltered upbringing was basically designed to exclude just that sort of chaotic, destructive presence from his life. It seemed to have worked well enough until Martin got to Miami. As the authors of the report wrote: "Martin was being pressured to play a game he didn't really want to join with rules that were foreign to him." Or as Martin himself put it to a friend, when he was weighing the pros and cons of staying in the NFL: "I am unable to socialize with my teammates in their crude manner." In the fairy-tale version of the story, Martin would be the prince who learns to adapt to the rough-and-tumble, making himself beloved in the process. The real-life version is more complicated. In another workplace, Martin's background—professional parents, Harvard-Westlake, Stanford—would give him status, power, cachet. In Miami, it just made it harder for him to fit in. One of the myths of team sports, and of football in particular, is that it brings people together. Teammates are like GIs going into battle; in the trenches, all are brothers. But in the Dolphins locker room, the cultural distance that separated Martin from Incognito—the son of "a mason and old-school tough guy," according to an ESPN profile—was vast. Martin, who had struggled with depression in high school, blamed himself and the "soft schools" he had attended for his failure to stand up for himself. He was smart and self-aware enough to ask his parents for help. They gave him emotional support and good advice. His mother suggested counseling and medication. His father related some of his own experiences with racism and recommended a measured defiance. None of this was enough. In the end, Martin felt his only option was to walk away from a realm so unfamiliar and hostile. Given everything we are learning about the long-term dangers of football, it's worth wondering whether Martin would even be playing the sport if he were a boy today. At this point, upper-middle-class parents might not see a place for their kids in football. And football apparently doesn't see a place for them, either.